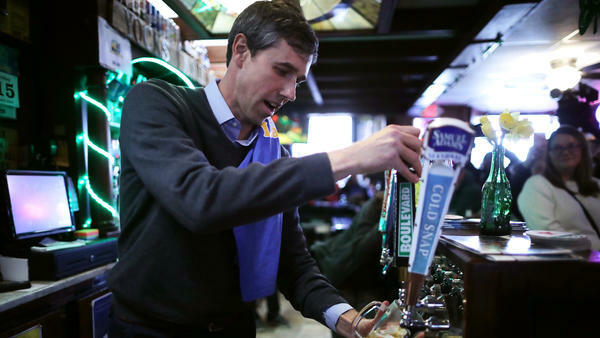 Democratic presidential candidate Beto O'Rourke pours a beer for a customer at Yock's Landing on March 15 in Mount Vernon, Iowa. Former Colorado Gov. John Hickenlooper likewise drew criticism after he was asked at a CNN town hall whether he'd consider a woman running mate. He said yes, but then flipped the question. They're not alone — Bernie Sanders and Cory Booker are among the candidates also asked about how they would look beyond their male points of view. All of which is to say that the men running — and, in particular, the white men running — are having to grapple with gender in a way they've never quite had to before. "Perhaps for the first time in presidential politics, white men are being asked about the degree to which their race and gender inform both their access to the presidency as well as their agendas and perspectives that they'll bring to presidential politics," said Kelly Dittmar, assistant professor at the Center for American Women and Politics at Rutgers University. "It just has them answering the same questions that women and candidates of color have always been asked." And O'Rourke seems to be doing that. On the campaign trail, he has multiple times said that his gender — and race as well — both privilege him. "As a white man in this country, there are a set of circumstances that are different than they are for women, than they are for people of color," he said after a recent New Hampshire campaign event. It may be more visible now, but gender has always been a factor in presidential campaigns — even when women weren't major-party candidates. Then-Vice President George H.W. 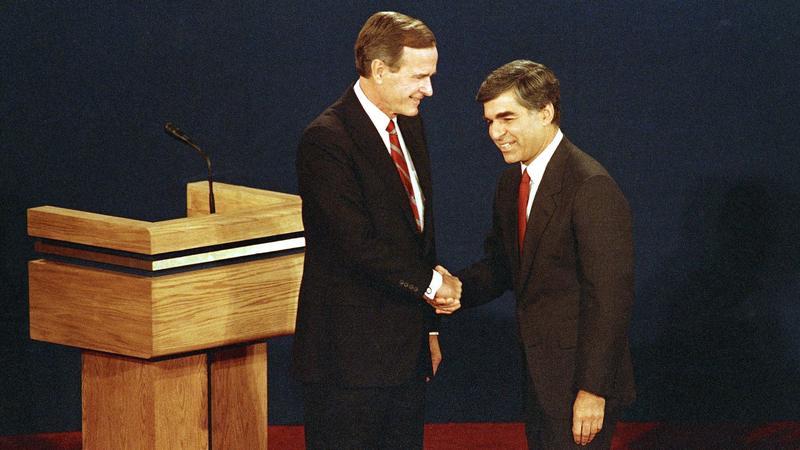 Bush (left) shakes hands with candidate Michael Dukakis at the start of the presidential debate in Winston-Salem, N.C., in 1988. "I wouldn't be surprised if he thinks that a naval exercise is something you find in Jane Fonda's workout book," then-Vice President George H.W. Bush told a crowd, referring to his opponent, candidate Michael Dukakis, in 1988. The manliness contest has popped up in multiple other presidential campaigns as well. George W. Bush and John Kerry in 2004 seemed so set on showing off their dude credentials — shooting guns, playing sports, going fishing — that USA Today observed, "It's macho time in the presidential race." 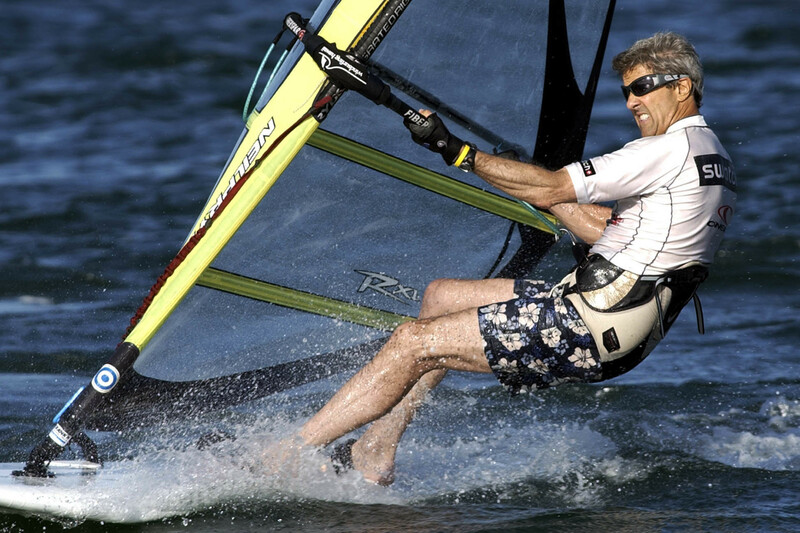 John Kerry, the 2004 Democratic presidential nominee, windsurfs off the coast of Nantucket, Mass., in 2004. Even in 2016, the first time a major party nominated a woman for president, Trump's gender was often at center stage. In a Fox News debate, he memorably defended the size of his hands. "He referred to my hands — if they're small, something else must be small," Trump said, countering an attack from opponent Marco Rubio. "I guarantee there's no problem. I guarantee you." That was central to Trump's identity, according to Jackson Katz, author of Man Enough? : Donald Trump, Hillary Clinton, and the Politics of Presidential Masculinity. "Donald Trump won the Republican nomination in 2016 in large part by attacking the masculinity of his fellow Republican candidates, by successfully feminizing and ridiculing his fellow Republican candidates," he said. But because men have been the main template for presidential candidates, it also affects how voters have seen themselves and the country, Katz said. "To me it's really important to look at the ways in which men — and especially white men — their voting patterns and their political identity [are] influenced by their notions of what it means to be a man and how the Republicans versus the Democrats present themselves," he said. At least for now, the 2020 Democrats' rhetorical styles are still evolving. Lately, much of the attention has been on some candidates' willingness to acknowledge that manhood is not the default American point of view. But as the campaign goes on, the candidates' various styles of masculinity will become more apparent. Booker, for example, has been running on a message of "love" — a marked contrast to Trump's often angrier rhetoric. One reason men are grappling with gender more in 2020 is that more women are running, according to Dittmar. 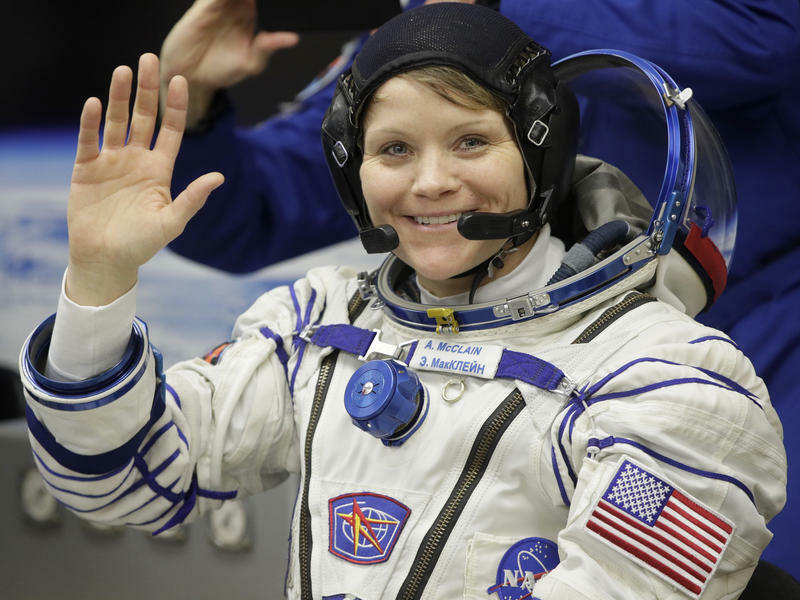 "It helps to have more women candidates who can also offer distinct ways in which you might navigate gender in presidential politics — in ways that challenge the male or masculine norm," she said. And that is one big part of what makes 2020 so different. Because male candidates no longer dominate the field, those candidates can't simply perform masculinity the way they used to. Instead, they are being asked questions about what it means to be a man running for president. On top of that, voters are seeing a wide variety of men run. The current Democratic presidential field is composed of black, Latino and Asian-American men, in addition to a gay candidate, Mayor Pete Buttigieg of South Bend, Ind. And then there are still other types of perhaps-less-obvious diversity. Buttigieg and Booker are childless, and Booker has also never been married — both of which are breaks from most presidents. All of which is to say that candidates' other identities make the question of how they present themselves as "men" more complex. Buttigieg's sexual orientation doesn't inherently complicate how he presents his masculinity, according to Sean Meloy, senior political director at the LGBTQ Victory Fund. However, he notes that stereotypes about gay men may play into how voters see him. "When it comes to that machismo and gay men, I think that those stereotypes are at odds with that toxic masculinity," he said, contrasting Buttigieg with Trump. Race also plays a significant role here. President Obama contended with gender and race at the same time. Comedian Keegan-Michael Key said he created his character of Luther, Obama's anger translator, for this reason — to express the anger that Obama, as a black man, couldn't safely vent. Gender is inextricably tied together with race in American politics, and today, voters and candidates alike often talk about white and male privilege in the same breath. Democratic voters recognize that, says Aimee Allison, founder of She the People, which promotes women of color in politics. "Can you be intersectional in your politics? If you can't, I think the electorate's done with you," she said. "There is a very active movement for gender equality that demands its leaders speak authentically and credibly to intersectional issues of gender, race, sexuality and others." To be abundantly clear, none of this is to say that in confronting gender, the men are at a disadvantage in this presidential race. Rather, it's that the men — and, again, white men in particular — are now experiencing their gender and their race in a new way. Patti Rutka, who recently went to see O'Rourke at a New Hampshire brewery, said that she still believes that women still face the heavier political obstacles. "The fact that we have the person in the White House that we do — it is evidence that the country is not quite totally ready for a woman," she said. 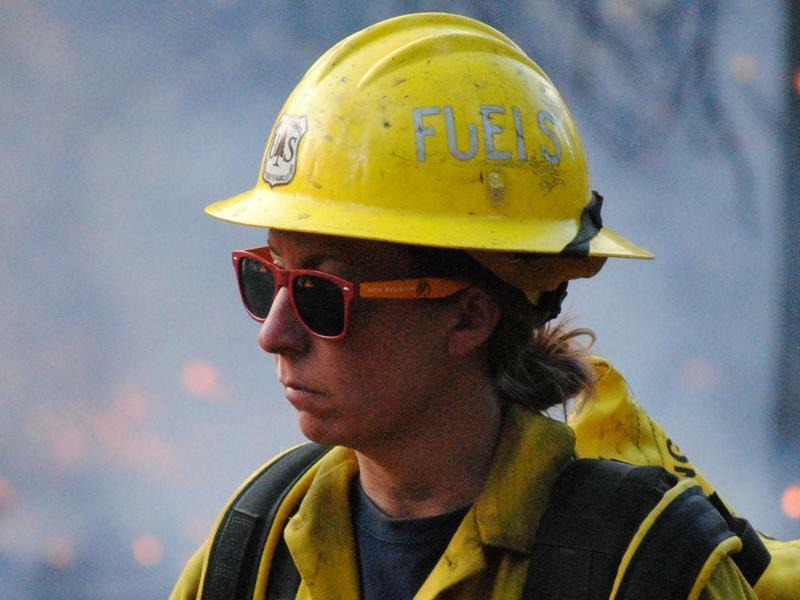 "I want the country to be ready for a woman, but I'm not sure that it is." And it's two white men — Biden and Sanders — who are the most well known of the potential Democratic nominees, and at least for now they are leading in early polling.